• The author discusses the effects of school closures on student academic achievement, finding that usually students need more support systems after attending a school that closes. • How can local school districts buffer the harmful effects of school closures on students? • Read more about the five main insights that Chalkbeat learned from a decade of research on school closures. 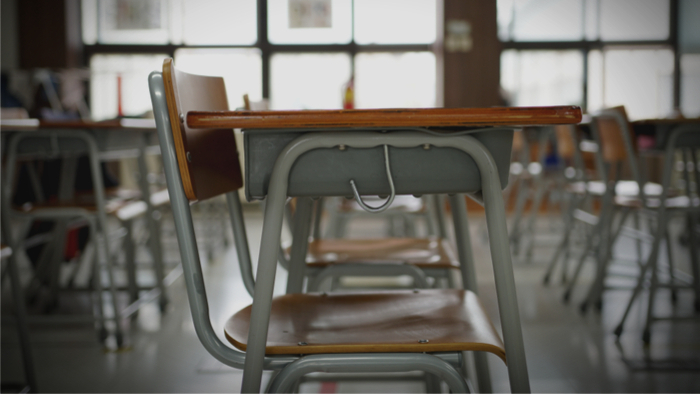 A Chalkbeat review of 17 school closure studies published over the last 10 years, focused on how those closures affected students’ academic performance, examines the impact these events have on students future achievement. The findings reveal that the displaced students’ graduation rates and college enrollment rates typically drop, along with immediate test scores — though that difference faded after three years. Not too surprisingly, some students who end up in higher-performing schools do better academically, but these scenarios are “more exception than rule,” Chalkbeat reports. There are also negative impacts on students in schools that receive an influx of displaced students, and there’s very little research into how future students fare when a school is closed. Sometimes schools close because they have low enrollment. Other times, closures are due to underperformance. Despite the reasons, the research suggests students typically suffer when schools close. While schools with a higher enrollment of students of color and low-income students are more likely to be shut down for poor performance, the majority of those students don’t end up in better schools — though those who do may see academic success, according to the Center for Research and Education Outcomes. It’s important to note that displaced students may find themselves traveling further to attend school, often through sketchy neighborhoods. Districts should also consider the legal ramifications of closing schools. Often, attorneys are called in to represent the students of the schools set to be closed. They’ll consider what type of harm could befall a student if their home school closes and address issues like the potential of lost school records, the quality of the new schools, and how it will affect students with disabilities. Youth Development is a complex topic, and others found these selections from the Impact Giving archive from Giving Compass to be good resources. Giving Compass' Take: · In 2016, the city of Cincinnati voted to fund pre-k programs for struggling families. Now, The 74 reports on the effectiveness of these pre-k programs and how they have helped over 1,300 children prepare for their future education and lives. · How does pre-k set the trajectory for success? What advantages does it provide? · College readiness begins before kindergarten. They’re not called formative years for nothing. Children who are not ready for kindergarten are less likely to be reading at grade level by third grade and face more devastating pitfalls later, such as dropping out of high school and ending up in the prison system, says Shiloh Turner, executive director of Cincinnati Preschool Promise. That’s why her organization aims to make good on its pledge to give many more low-income youngsters — the Census Bureau estimates the Ohio city has more than 4,000 3- and 4-year olds at or below poverty level — a fair chance to thrive during their destiny-shaping early childhood. The initiative is off to a good start. In its first year, the five-year, $15 million-a-year program, overwhelmingly approved by voters in 2016, has helped more than 1,300 struggling families get their children into quality preschools. Read the full article about pre-K in Cincinnati by Meredith Nelson at The 74. In addition to learning and connecting with others, taking action is a key step towards becoming an impact giver. If you are interested in giving with impact for Ed System Reform take a look at these Giving Funds, Charitable Organizations or Projects.